There’s a lot riding on Rotorua’s lakes. 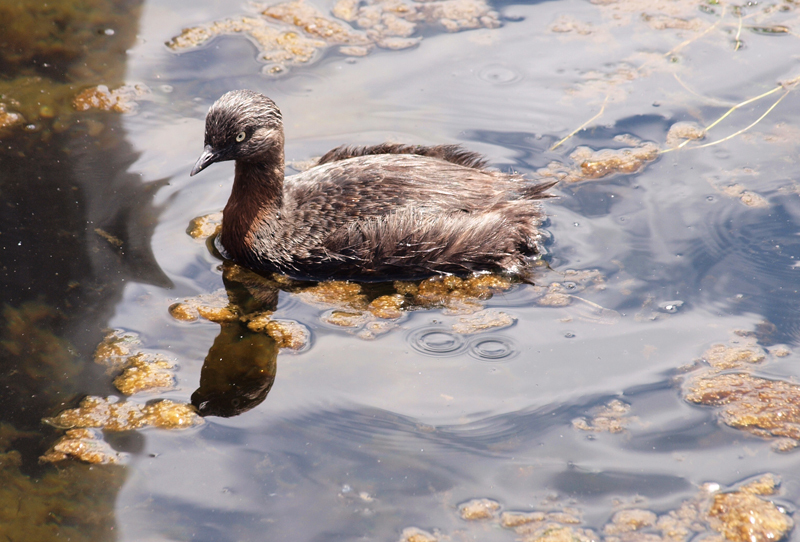 As well as being home to precious species like koaro and dabchicks / weweia, they’re pivotal to Rotorua’s tourism. Popular activities like trout fishing, kayaking and waka ama (outrigger canoeing) could suffer if the waterways become infiltrated by pest fish. Over summer, rangers in Rotorua embarked on a series of initiatives to monitor the freshwater habitats of the area. The ponds at Hinehopu Golf Course filter into Lake Rotoiti, an important habitat for dabchicks and a haven for fishing and boating enthusiasts. 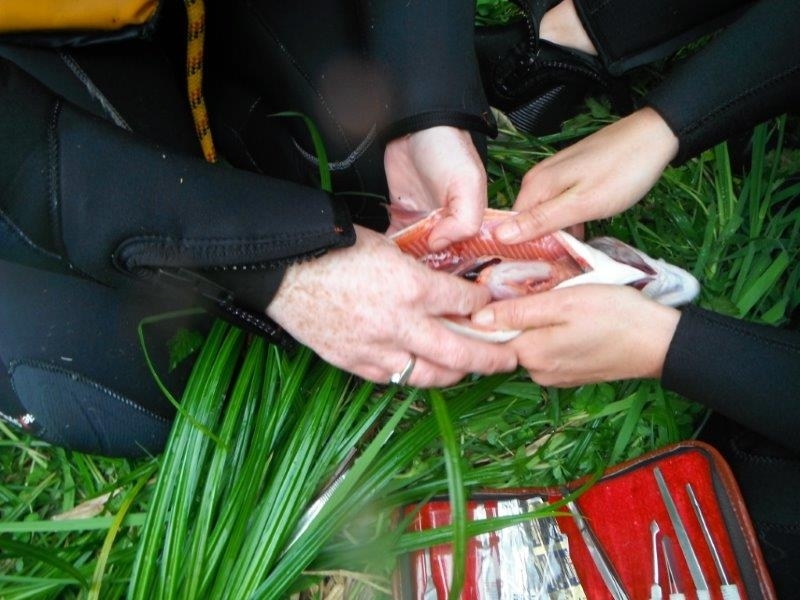 Following reports of pest fish sightings, Ranger Kristina Thompson, Trainee Ranger Afrika McNaull, and two Land Management Officers from Bay of Plenty Regional Council, set out to survey the waters. After a team briefing and wader safety reminders, the team laid out four nets, baited with sardines. The results were encouraging. “The nets caught about ten morihana, ten bullies and a few tadpoles,” says Afrika. The ponds will continue to be monitored for the presence of the pest fish koi, which could potentially populate Lake Rotoiti and affect water quality. Meanwhile, in the upper Waihou stream near Putaruru, DOC Rangers trialled a new method for catching dwarf galaxias—by saturating a section of the stream with 18 nets. Monitoring population distribution is vital to assessing the success of a particular species within an ecosystem. However, after two days of monitoring, 65 dwarf galaxias were caught, including 33 larvae. Given the success of this technique, it’s possible that it could be used in future research and monitoring. Gut analysis of trout and rats provides evidence into the diet of these non-native species and helps DOC understand how native freshwater species are predated. Inspecting trout stomach content – no signs of native species inside this one! Thanks to a permit from Fish & Game, trout caught as a by-catch of fish monitoring can be dissected for analysis of their stomach contents. Analysis of trout stomach contents has found partially digested native crayfish / koura. Monthly analysis of stomach contents has been carried out on rats since November 2014. So far the stomach contents have included many koura and some unidentifiable fish scales. The research will continue on a monthly basis and data will continue to be collated to help paint a picture of how native freshwater species are predated. In partnership with Bay of Plenty Regional Council, a total of 34 fyke nets will be set in Lakes Rotorua and Rotomahana as part of a catfish monitoring project. Fyke nets are essentially a type of cylindrical fish trap which contain a series of funnel-shaped openings which make it easy for fish to enter the trap but very difficult to for them to make their way out. Catfish are a non-native species known to stir up sediment and prey on small native fish, fish eggs and other marine life such as koura. 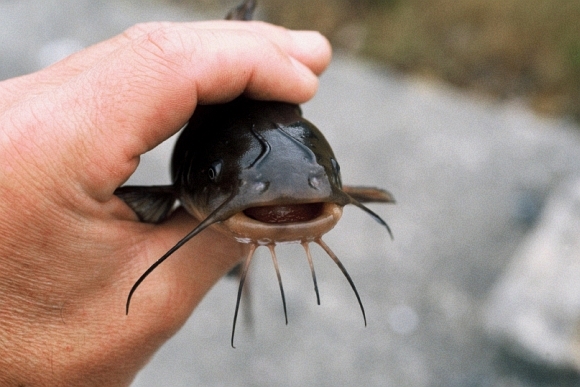 There have been no confirmed sightings of catfish in Rotorua to date, although nearby areas, including the Waikato, are known to support catfish populations. With the number of boaties that visit our lakes from the surrounding area, let’s hope the ‘Check, Clean, Dry’ message has been widespread! • Report pest fish sightings. If you can take a photo – great! • Remember to check, clean, dry to stop the spread of aquatic pests. This includes bikes, tramping boots and fishing gear. • Adhere to the whitebait fishing guidelines. Strict penalties apply to those who break the law. 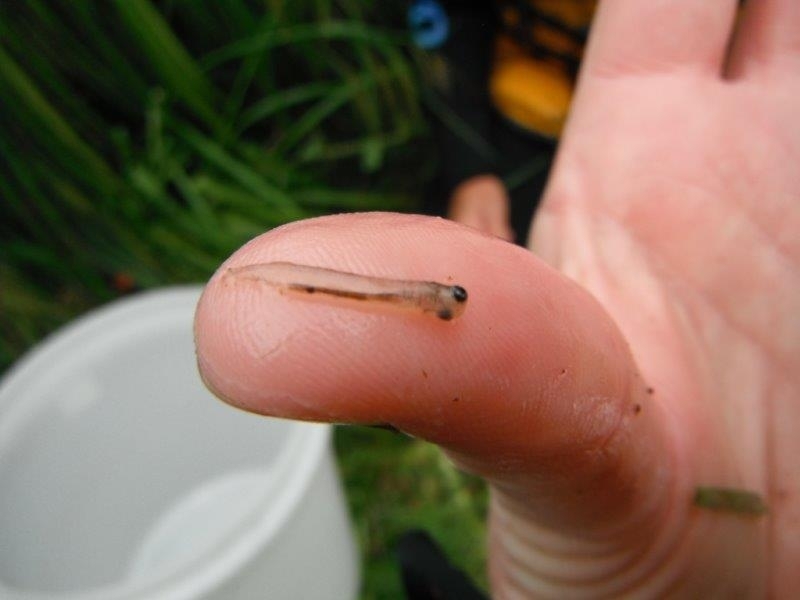 DOC administers the whitebait fishery and we’re keen to look after our native whitebait! • Be conscious of water quality. Pollution affects plants and animals that are found in freshwater ecosystems. I'm an English-born Kiwi and have worked for DOC since 2013. I'm part of the partnerships team that works to build relationships with iwi, businesses and the wider community to grow conservation. I'm really luck y to live in a really interesting part of New Zealand with lots of geothermal warmth, rare geothermal vegetation and some threatened birds that are benefiting from the work of DOC and our partners.